Turns out Spider-Man: Into the Spider-Verse not only can, it does. 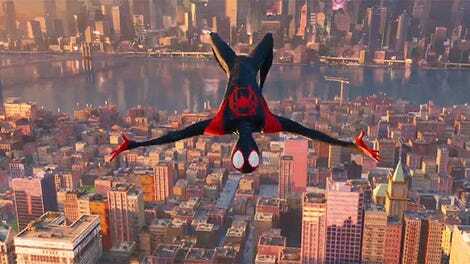 Though it’s still a few days from release, Spider-Man: Into the Spider-Verse is almost certainly going to be in the conversation of best superhero movies once audiences see it. 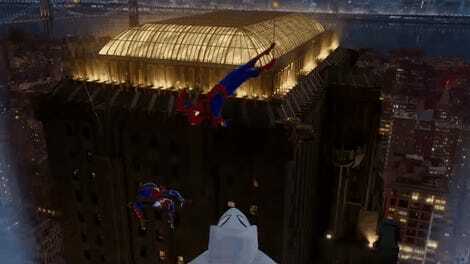 And while those kinds of statements may create some hype now, it’s hype that came much, much later in the game compared to most other superhero movies. Which was fine by everyone involved. 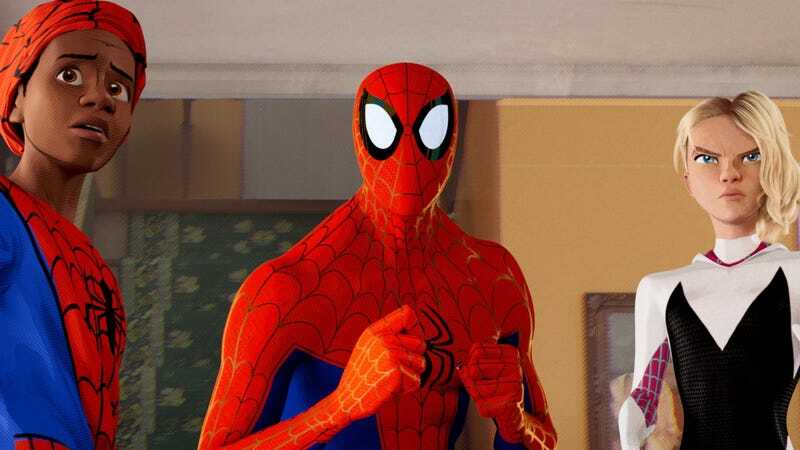 “We were in this weird position of ‘Wow, we’re working on a Spider-Man story but we’re kind of an underdog, which was a weird paradox,” co-director Peter Ramsey told io9. Director Bob Persichetti, producer Christopher Miller, director Peter Ramsey, and producer Phil Lord at the premiere of Into the Spider-Verse. And show us they did, making a movie that not only acknowledges the over-abundance of superhero films, but uses that to its advantage to tell a story that invents an original approach to the genre. Plus, it does so with a unique CG/hand-drawn animated hybrid that took 18 months to achieve and then a week to do each and every second. Maybe it wasn’t a few months ago but, come December 14, it will be.